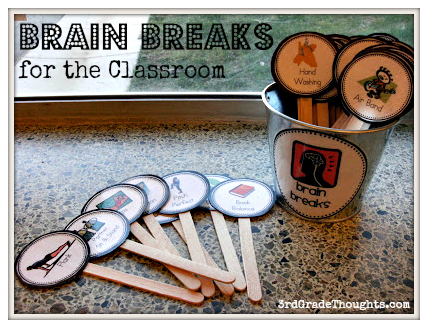 I know if you're reading my blog, there's a pretty good chance you've heard of my Brain Breaks for the Classroom. They are the perfect little pick-me-up or calm-me-down for your class and can be used in a variety of ways and in a variety of settings. 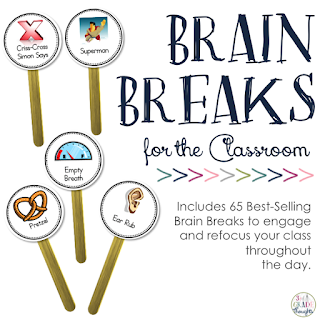 I have a few posts on my blog, but I thought it would be the perfect time (due to a recent update) to revisit this product and give you some additional information about Brain Breaks and why they are so helpful in your classroom. Movement increases heart rate and circulation, which often increases performance. Our brains are designed to learn short bursts of information, followed by time to process the information. Young children in particular require more breaks from seat work. Sitting places 30% more pressure on the spinal discs than standing, especially for long periods of time. The data suggests that exercise is the best overall mood regulator. That's why Brain Breaks are so important! The best part? You probably do them already when you see your kids' eyes glaze over or they just don't seem to be with you in a lesson. 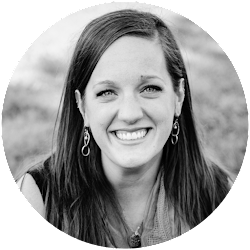 Having them gesture, stretch, clap, toss a ball around, listen to and dance to a song are all ways to help break up the intervals of teaching and learning to help re-energize the brain. GoNoodle.com is a *fantastic* website that is full of Watch & Wiggle Brain Breaks and more. I never had the privelege of using it in my classroom, but a simple search will show you loads of bloggers who are using it with great success. GoNoodle has put together a fantastic, research-based White Paper HERE to give you even more data on the importance of Brain Breaks in your day. 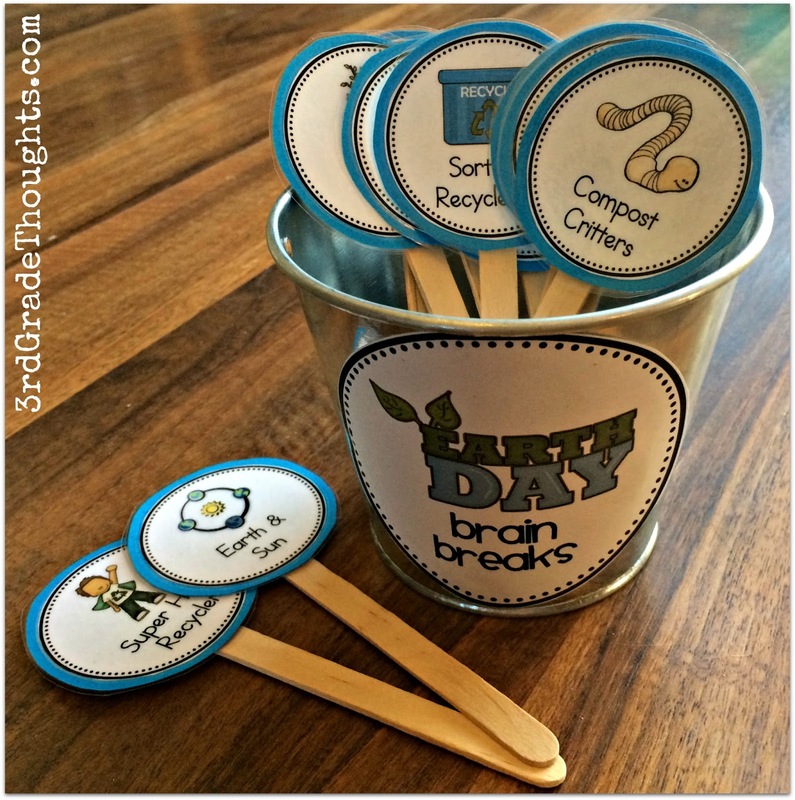 ALL Brain Breaks (Classroom & Holidays) now have circular descriptions to attach to the back. View more in the previews HERE. Redownload for free if you have previously purchased these! 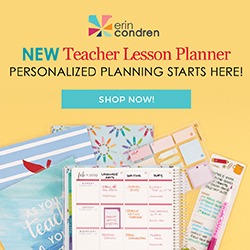 Having the description on the back will help not only you and your students remember, but they become an easy and effective way for a substitute to use them, a guest or even your principal to stop in and lead a Brain Break from time to time! You'll find that some of these are energizing and some are calming. Some are quick and others take a few minutes. Some can be done independently and some need partners or even small groups. Some need the help of the teacher or a student leader and some are just on your own. With nearly 70 different Brain Breaks, there are definitely some for all occasions. I don't start with all 60-ish Brain Breaks in the bucket at the beginning of the year. I first select a handful carefully from the stash and usually start with a variety of both calming and energizing Breaks to introduce the responsibilities of both. It's obvious that energizing Brain Breaks will need some guidance and a few gentle reminders along the way to stay in our spots, stay in control of our bodies, and be ready to get back to work when finished, but I am always reminded how important it is to guide students through relaxing Brain Breaks as well. Oftentimes, they are hesitant to close their eyes, or stretching and breathing become silly and overexaggerated, and therefore the the "calming" focus is totally lost. I always have to tell myself to reinforce the expectations around these Brain Breaks just like I do in other areas and that often means practice, practice, practice! 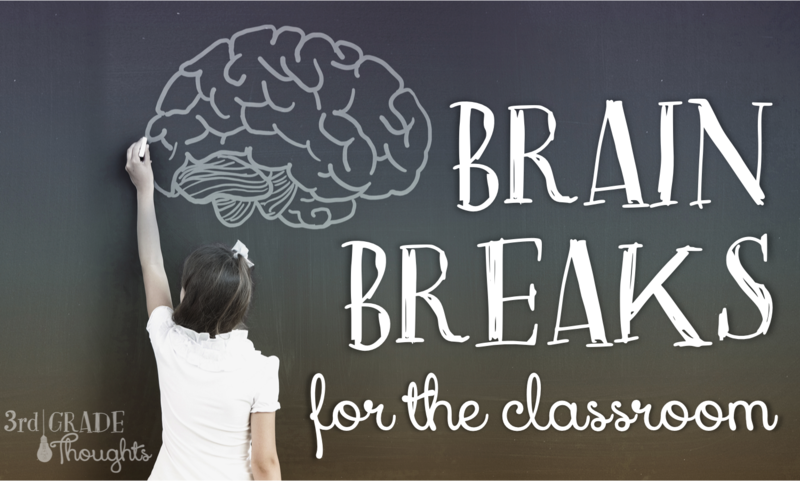 Throughout the year, typically on Fridays of each week, I will introduce new Brain Breaks. My Friday schedule is always more relaxed with less intervention time and pull-outs, so I find it easier to cover content and have more breathing room than Monday through Thursday. Because of this, I can find the time to introduce a new Brain Break or two, try them out throughout the day, and be ready to fully incorporate them starting on Monday of that next week. I also like to start having kids pull the Brain Breaks as the year progresses. I begin my having them make a choice from a few that I have selectively pulled from the bucket, but as we get more familiar with them all, I will have the student decide when he/she pulls one if it's a best-fit for our needs right now. For example, one time a child pulled a partnering activity when we were getting our minds ready to take a test. He decided it wasn't the best time for that one, and made a different choice, but we did decide once the test was done to work with partners and be more silly (It was the Partner Sit & Stand, and he was right, before the test would have been a logistical nightmare, but after the test it was the perfect way to laugh together!). We also will incorporate holiday-themed Brain Breaks into our routine the week or two before a celebration. This is just another way to work together or get our minds back on track in a fun and engaging way! Plus, they allow us to practice some of the content knowledge that we learn around the holidays. 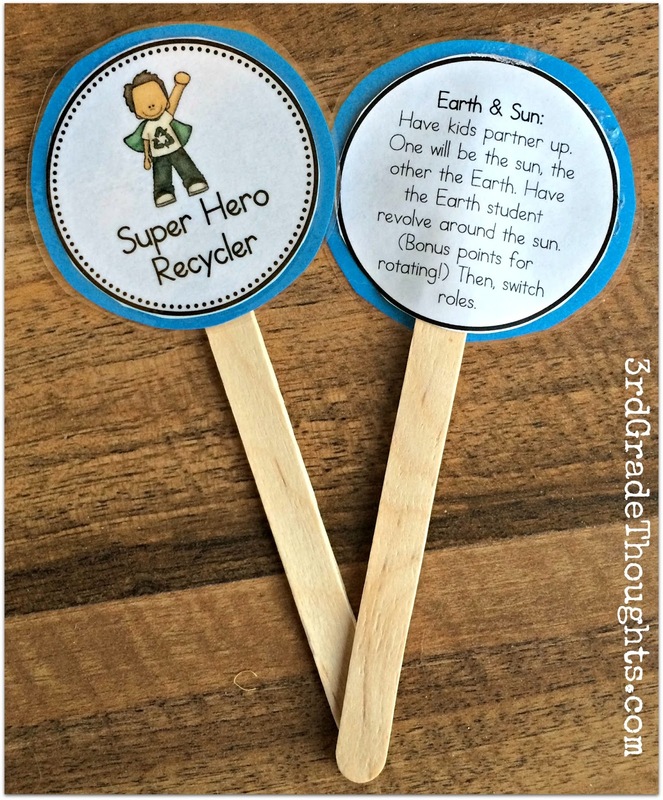 For example, in the Brain Breaks for Earth Day, we quickly reviewed rotation versus revolution with the Earth and the Sun. It was a great and simple way for kids to act it out and oxygenate their brains at the same time! I was so fortunate to have a laptop and a Document Camera in my classroom, and I know many of you have similar setups. If so, you'll need to check out my Pinterest board for Watch & Wiggle Brain Breaks that I wrote about HERE. There are so many fun and catchy songs that are kid-friendly that they (and you!) will love dancing to! 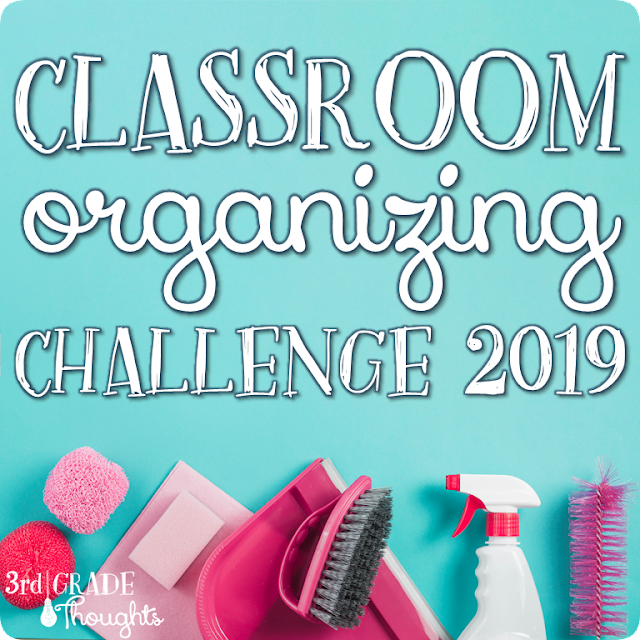 We would also use this Brain Break to play content songs or Schoolhouse Rock songs to remind us about grammar rules and multiplication tables. I also love both of these resources for days when you're trapped inside for indoor recess! This past winter was especially brutal everywhere, so if you were trapped inside for more than one day, you know how quickly cabin fever sets in ;) Starting and/or ending recess with these Brain Break videos (or, heck, showing them the whole time!) is an active alternative to going crazy, right!? They are also the perfect way to break the ice at the beginning of the year and work wonders at controlling the end-of-year wiggles! Once the temperature starts creeping up, the energy level does, too, so these breaks are the perfect way to channel energy and get kids moving in a more guided direction. Your daughter is super cute! I have a daughter who will be turning 3 next month. Thanks so much! Don't you love this age? She is changing and growing so much-- it's so much fun :) Thanks for stopping by and have a great week! Love that age. My precious daughter is now 20.